From Funko. The Dark Knight is turning 80 and all of Gotham City is celebrating! DC introduced Batman in Detective Comics #27, written by Bill Finger and illustrated by Bob Kane, in 1939. Since then, Batman has appeared in countless comics, video games, television episodes (animated and live action), movies, battled epic villains, uper-Villains and become a cornerstone of pop culture. 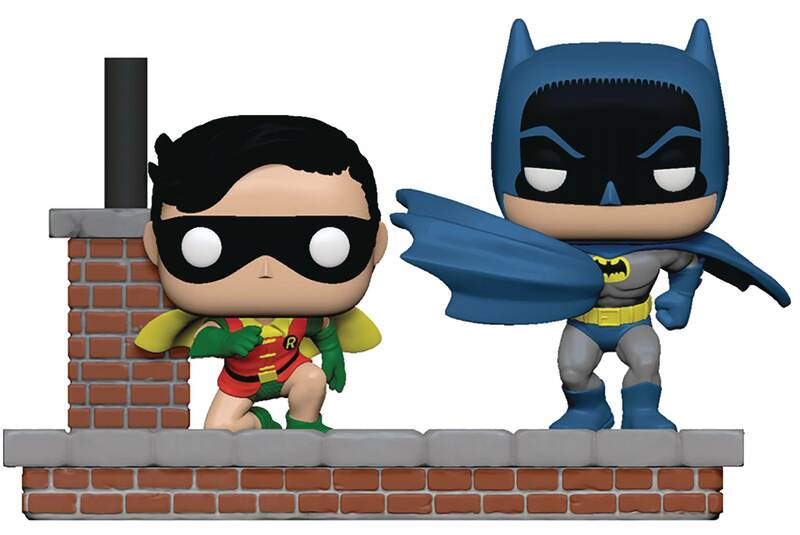 Celebrate 80 years of the Dark Knight with this special Comic Moment figure, based on the Batman comics of 1972, with Batman and Robin, the Boy Wonder. Window box packaging..